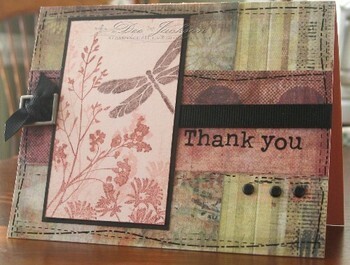 Well so far today I've done nothing:) I wanted to post a couple cards I forgot to put on my blog. Both are using Cosmo Cricket paper. 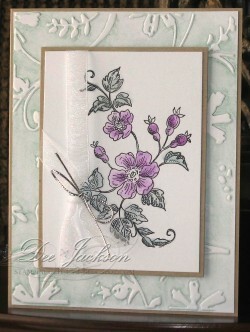 I purchased the paper and stamps from Jacksonbelle's store. This was also for the SC172 on SCS. The cool stitching was done using a tape runner made by Daisy D's I bought mine at Jacksonbelle's store. 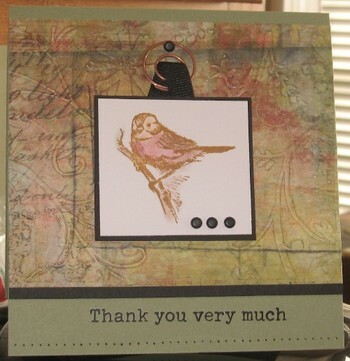 This sparrow stamp is by Inkadinkado also purchased at Jacksonbelle's store.